Mr. Cole has represented numerous employers in all facets of employment law. Mr. Cole advises companies daily on labor code requirements, hiring and determination matters, as well as enforcement of company policies. Mr Cole has successfully appeared in front of multiple state and federal agencies and courts on behalf of his clients. 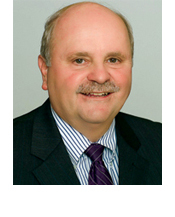 Mr. Cole has served as a Director, Officer and legal counsel for several international corporations. Bringing years of experience to the process, he has helped his corporate clients expand to international markets in a timely and reliable manner. He has successfully completed numerous international transactions involving the transfer and relocation of corporate employees. In addition, Mr. Cole has negotiated and drafted employment and severance agreements, conducted confidential employee investigations, and served as chief counsel in international employment arbitration and litigation proceedings. Having served as a member of senior management and general counsel for one of the largest corporations in America, Mr. Cole has negotiated and drafted contracts with or on behalf of many of the Fortune 100 companies, as well as many Orange County businesses of all sizes. Typically these are service contracts, bid proposals or procurement agreements. Mr. Cole has litigated contract disputes in the United States, as well as internationally. Negotiated and drafted procurement agreements for local steel fabrication company. Purchase and sale of executive jet aircraft. Negotiated and drafted national service agreement on behalf of Southern California telecommunications company. Mr. Cole has served as an Officer and Director of several companies. He has represented many private and publicly traded companies in a wide array of corporate governance matters.